Just because summer is wrapping up, it doesn’t mean your weekend adventures have to. If you’re of the outdoorsy persuasion, we thought we’d do you all a solid and round up a few of the best Australian and New Zealand adventures to get your bucket list started. And who better to give us the low-down on the best adventures than Kathmandu? These outdoor wizards have spent 30 years designing gear for every possible adventure on your list. Intrigued? Yeah, you should be—keep reading for all of the deets. The Six Foot Track starts near Katoomba in NSW’s Blue Mountains and weaves its way through the Heritage-listed National Park. You’ll travel through 45 kilometres of waterfalls and wild rivers into the Megalong Valley and village on your way to Jenolan Caves; the most famous in Australia and one of the oldest in the world (just a cool 340 million years, no big deal). Get ready to canyon around the rainforest like a boss. This one is only an hour from Sydney, and highlights include rock slides, big rock jumps (only if you’re up for it) and waterfall abseils. Hit up Eagle Rock Adventures to teach you the skills before heading out. This one sounds extreme and that’s because it kind of is—a 12-hour round trip awaits. 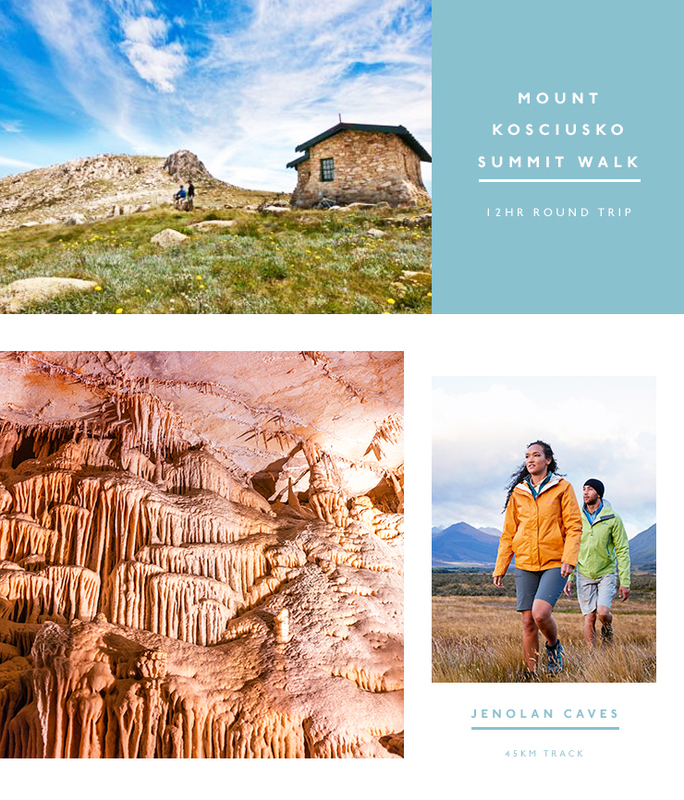 Starting in the alpine precinct of Kosciuszko National Park, the walk will take you through waterfalls, wildflowers, mountain roses, the Snowy River and you’ll be overlooking the Australian Alps and Bogong Peaks the entire time. 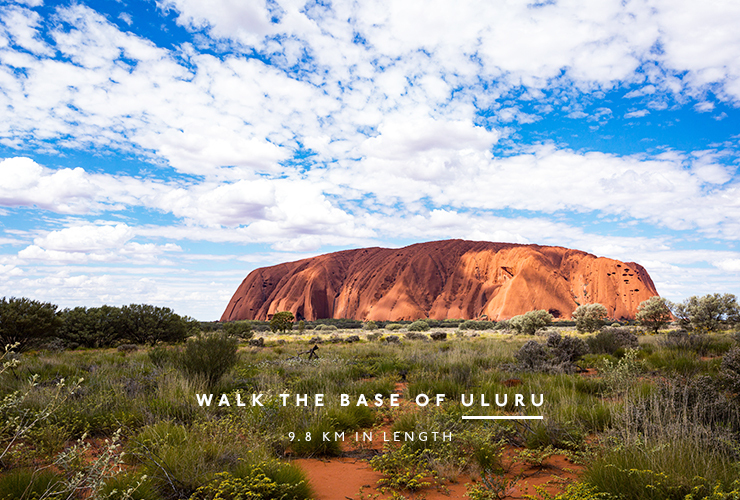 If you don’t want to miss any of Uluru (literally, none of it), take up the challenge of walking the entire perimeter of the rock. It’ll take you 3-4 hours and is 9.8 kilometres in length—you’ve got this. The Ngaro Sea Trail is actually a series of hiking trails and kayaking seaways on three islands in the Whitsundays National Park. The traditional home of the Ngaro Aboriginal people, the Ngara region is accessible only by boat. Once you’re there, jump straight in to the challenging hikes, or start slow with an easier stroll. Just make sure you take some time to explore the history as well, because it is rich here. 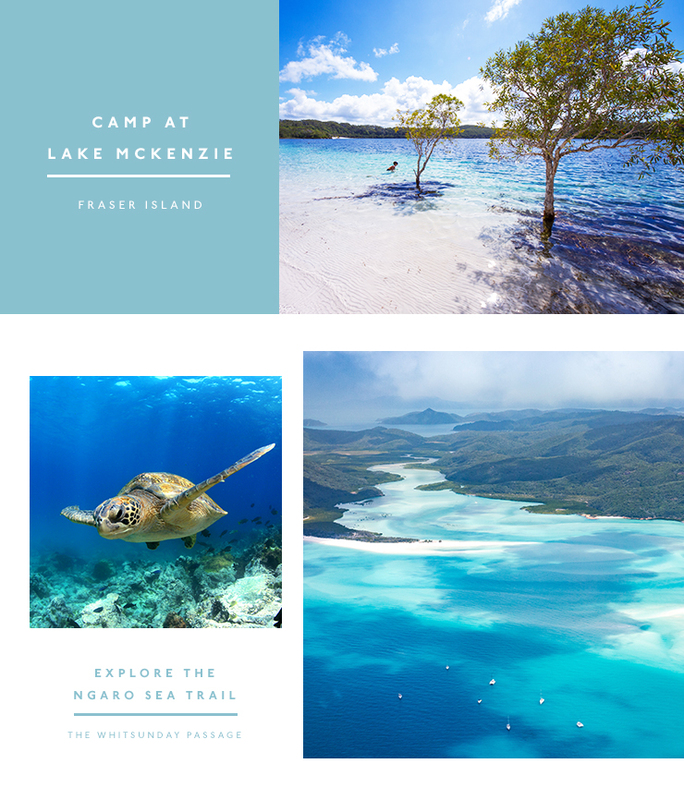 Camping in paradise is always a good idea and Fraser Island is known for exactly that. Pitch your tent on the sand and be done with it, before creating a plan of attack. There’s whale watching, treks and tours galore, so take your pick and spend the week playing adventurer. Don’t forget to squeeze in some time on the sand between adventures. Carnarvon Gorge is your one-stop-shop with hikes for all levels and on the spot camping in peak seasons. The gorge is a combination of arid sandstone walls and lush remnant rainforest, with hikes ranging from a modest 600 metre return trip, to a 19.4 kilometre trek—the choice is yours. 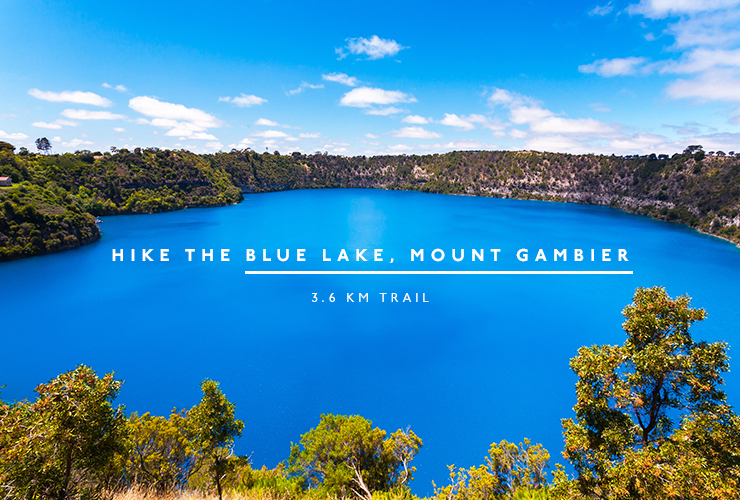 One of the sparkly gems of South Australia, the Blue Lake is a striking cobalt blue in December through March, while in the colder months, it’s more more blue steel. No one really knows why the lake changes colours, but who are we to question such natural beauty? Head off on the 3.6 km walking trail to check out the volcanic crater from all angles solo or join a guided tour. You can expect to abseil big drops and climb massive rock walls when you hit up The Grampians—one of the best sandstone climbing spots in the world. We recommend you jump on a tour (we hear that these guys are great), because they’ll be able to give you the lay of the land and everything you need to climb. Located between Golden Beach and Seaspray, Ninety Mile Beach stretches all the way from Gippsland Lakes to the Bass Strait. There are 20 large—and free—camping sites on Ninety Mile Beach and all of them are a stones throw from the surf, so the views are uninterrupted and with a sturdy tent, you’ll be more than comfortable here. 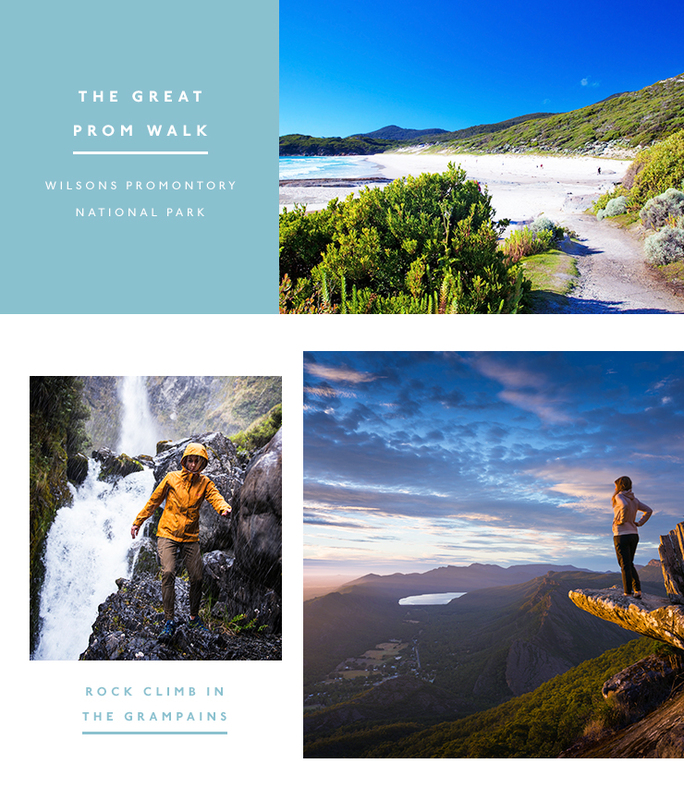 Set aside 3 – 4 days for The Great Prom Walk, because you won’t want to miss anything as you hike through Wilsons Promontory National Park. There are two trails to choose from and rumour has it you should opt for the shorter 35.5 kilometre option, which winds up to Windy Saddles, before heading back down to Sealers Cove, through the ferns. Three Capes Track is a biggy; spanning three days and 46 kilometres of cliff hugging, wilderness walking. We’ve been assured that it’s suitable for all levels of fitness, age and abilities, but we still recommend that you book yourself in for a walking tour. Along the way you can stop of at sites to settle in for the night, before setting off again the next day. This is one of the rawest, rugged and un-touched hikes in the world and well worth the effort, trust us. Hidden pools and gorges galore, The Bungle Bungle Range in The Kimberley is wall-to-wall rock, with endless opportunities for adventure. You can take it all in at the Kungkalanayi Lookout, or explore on foot, along the Piccaninny Creek (you can even camp here), Echidna Chasm, Mini Palms Gorge and through Cathedral Gorge. You won’t want to tackle this one unprepared, so you should probably head to Kathmandu for fresh hiking boots and pack. 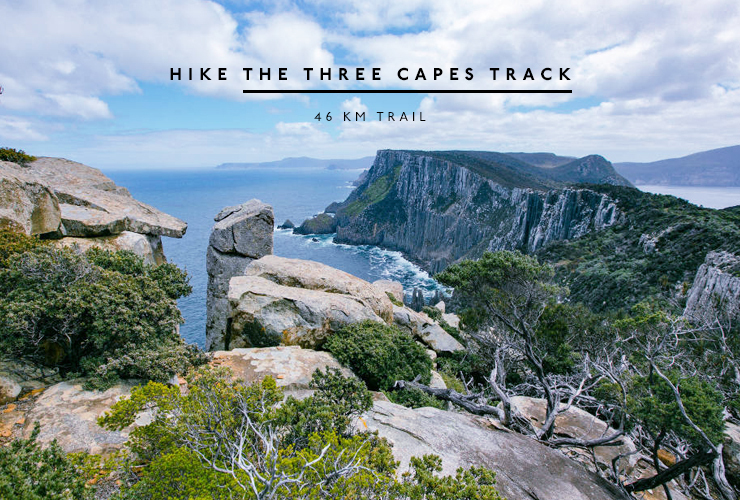 The Cape to Cape is not for the faint hearted, running 135 kilometres along the Leeuwin-Naturaliste Ridge. In case you’re wondering how it got its name, the track connects Cape Naturaliste and Cape Leeuwin, running along the stunning coastline of Margaret River. We recommend that you stop off in the wine region afterwards for a cheeky vino. Lord knows you’ve earned it. 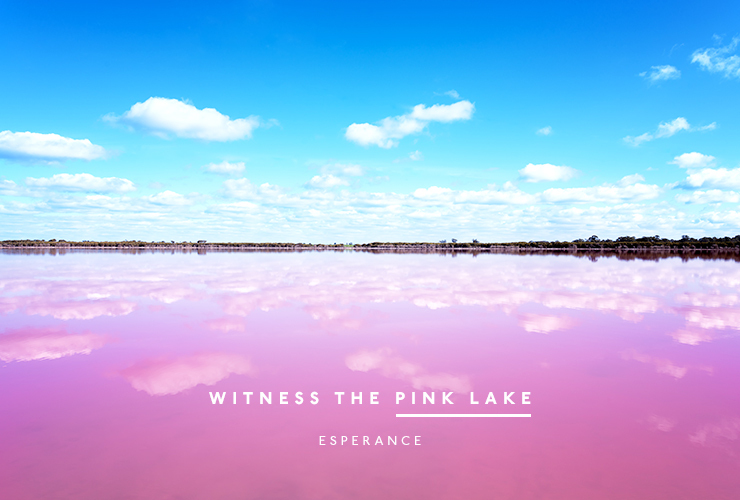 The Pink Lake in Esperance delivers everything it promises—a pink lake. Located in the south west of WA, you’re best visiting the lake by land or air. The former means only one thing (road trip! ), while the latter means chartering a plane or helicopter, which sounds like the best idea we’ve had all day. Tongariro National Park is a World Heritage site and for good reason—with three volcanos turned stunning alpine ranges, a blue lake and stunning views. The Alpine Crossing is a trek that’ll take you about 6—8 hours to complete, is 19.4 kilometres long, and recommended for people with hiking experience, so come prepared. The South Island’s West Coast is home to one of the island’s most secluded natural havens and hiking trails in abundance. 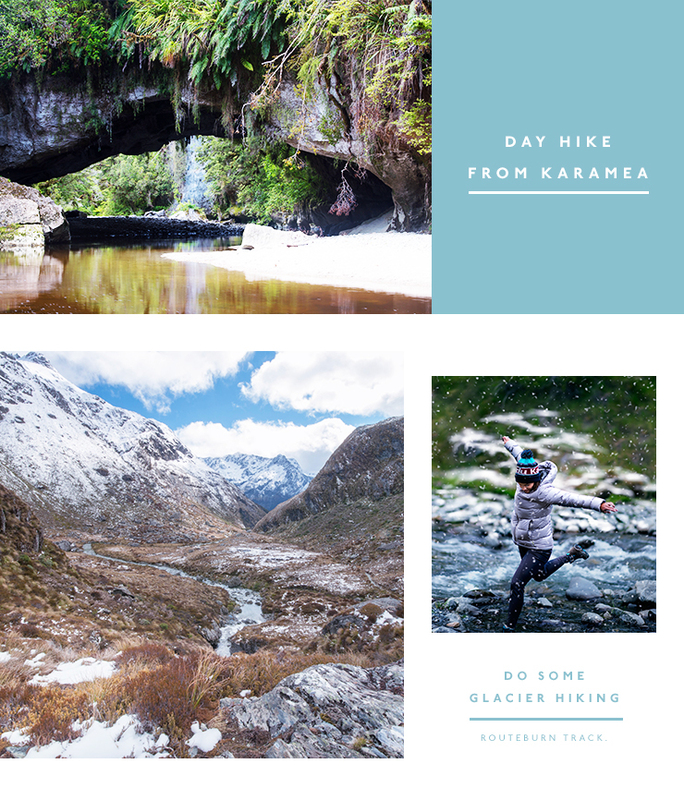 Flanked by bush covered mountains, Karamea is in the Kahurangi National Park with trails ranging from 45 minute walks, to 2 hour hikes depending on your stamina. If glacier hiking isn’t on your bucket list it really should be (and you call yourself an adventurer). Enter: the Routeburn Track. Over three epic days you’ll tramp through the World Heritage area, home to ancient glaciers (not an exaggeration) and perfect river valleys (also entirely accurate) and breathtaking views of Queenstown (you get the picture). Editor’s Note: This article is proudly sponsored by Kathmandu and endorsed by The Urban List. Thank you for supporting the sponsors who make The Urban List possible. Click here for more information on our editorial policy.